When people think of Google's Nest, they automatically think of remotely changing the temperature in their home using their smartphone. 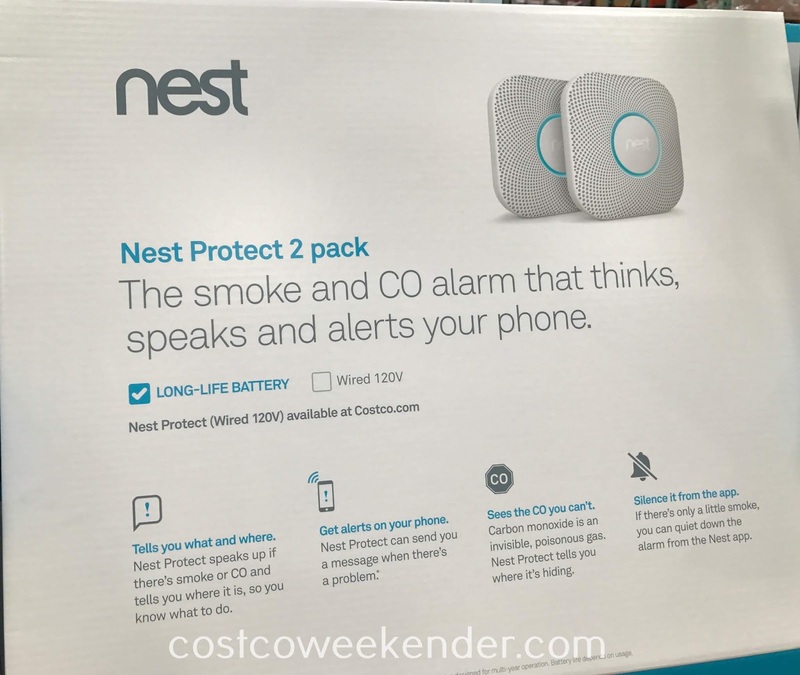 However, did you know that there's also the Nest Protect Battery Power Smoke and CO Alarm? This is even more important for any house than the conventional Nest since it detects smoke and carbon monoxide. 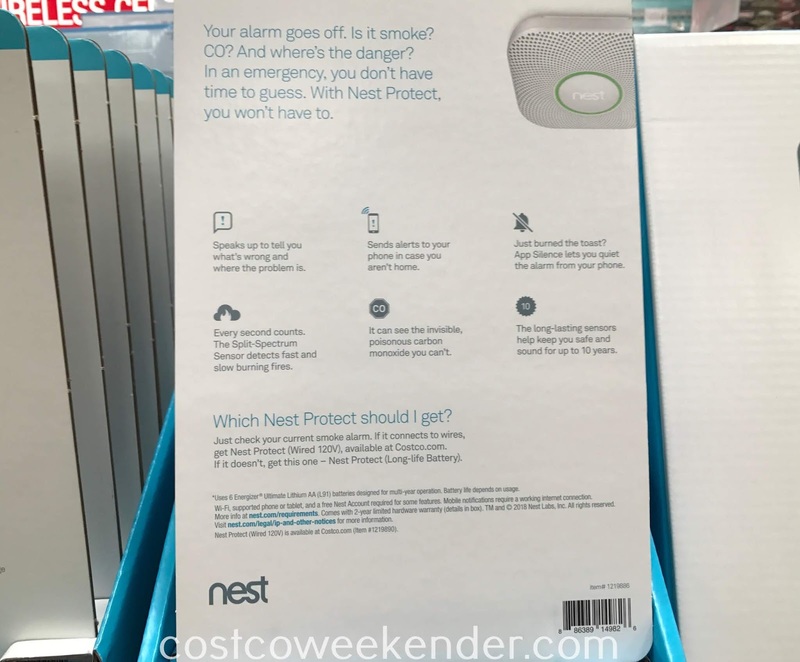 The Nest Protect Battery Power Smoke and CO Detector will sound an alarm helping to keep you and your family safe from fire and carbon monoxide poisoning. Often times the smoke and carbon monoxide detectors are separate units, but the Nest Protect Battery Power Smoke and CO Alarm is an all-in-one solution. It comes in a pack of 2, so that you can keep more of your home protected. 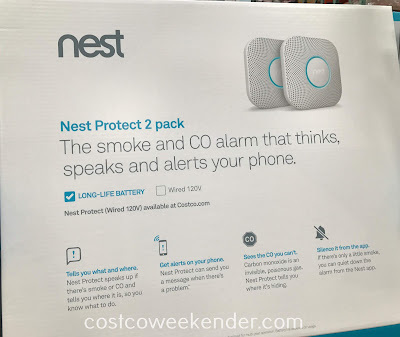 Nest Protect 2 pack: The smoke and CO alarm that thinks, speaks and alerts your phone. The Your alarm goes off. Is it smoke? CO? And where's the danger? In an emergency, you don't have time to guess. With Nest Protect, you won't have to. 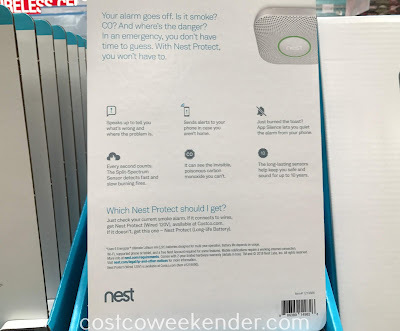 Nest Protect speaks up if there's smoke or CO and tells you where it is, so you know what to do. Nest Protect can send you a message when there's a problem. Sees the CO you can't. Carbon monoxide is an invisible, poisonous gas. Nest Protect tells you where it's hiding. Silence it from the app. If there's only a little smoke, you can quiet down the alarm from the Nest app. Every second counts. 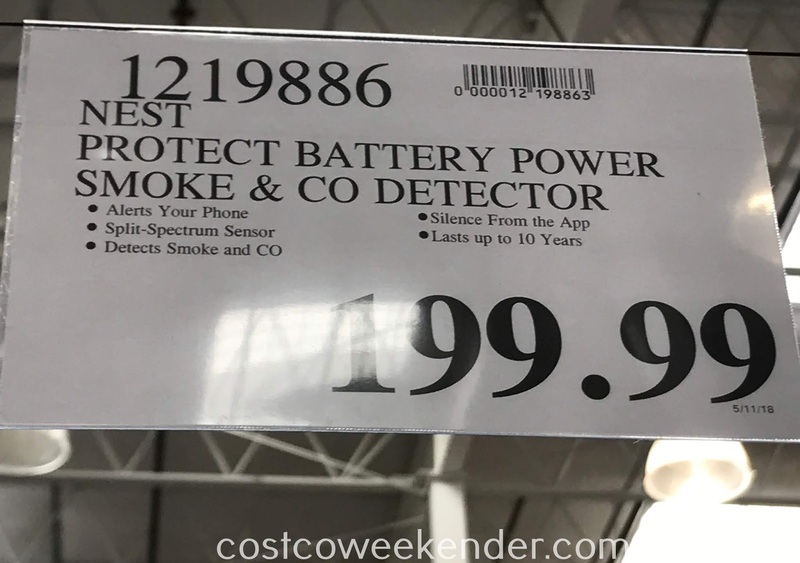 The Split-Spectrum Sensor detects fast and slow burning fires.